Portable Toilet Hire (London) Ltd are committed to quality, health and safety and have been certified by accredited bodies for the following standards. Certificates for each standard can be viewed below. ISO 9001: Portable Toilet Hire (London) Ltd's quality management system has been fully satisfied through an independent and rigorous external audit. ISO 14001: Portable Toilet Hire (London) Ltd's environment awareness has been fully satisfied through an independent and rigorous external audit. Portable Toilet Hire London are serious about the environment and our responsibilities. Our team are committed to the environment. Avoiding any environmental impact in compliance with current Environmental Legislation and Best Practice. Please contact our dedicated team at Portable Toilet Hire London to view or discuss our policies on the environment. 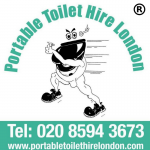 Call us on 020 8594 3673 or info@portabletoilethirelondon.com.